My shopping experience with MyNameNecklace was awesome. Delivery was much faster than I expected which is a plus. I have recommended MyNameNecklace to several of my family members and friends. I enjoyed shopping with MyNameNecklace. Customer service was absolutely perfect, they are great with correspondence, answering any questions and correcting any issues. The bird paradigm has always been a beautiful symbol. It is an image that is recognized all around the globe, most closely associated with motherhood, security, and assurance that everything will be okay. 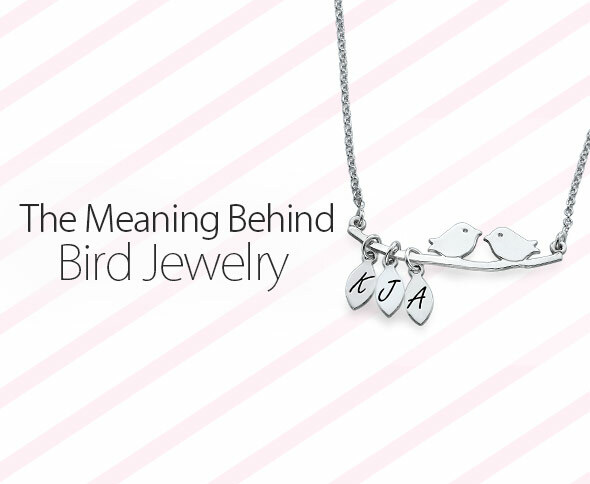 Since early history, birds have been very popular in jewelry. Ancient jewelry designs have all utilized birds. Ancient Egyptians, Native Americans, and other major religions use birds as symbols for various things and then use in jewelry designs. Today there are amazing pieces of jewelry utilizing birds! Ever wanted to know the symbolism associated with different birds? Here is some information for you! Dove. Closely associated with tranquility, love, and peace, the dove represents selfless love and sacrifices mothers make for their children. They are symbols of self-sacrifice, nurturing, and devotion. Owl. 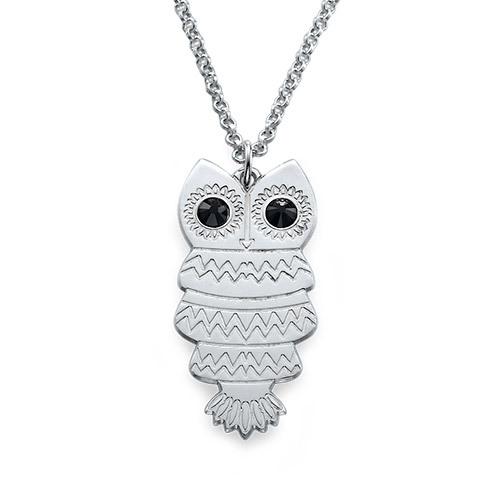 Sacred to Greek goddess Athena and considered a witch’s familiar, owls represent intelligence, protection, wisdom, and mystery. This bird is also the symbol for all nocturnal creatures. Sparrow. While many may take the sparrow for granted because it is a small bird, this bird reminds people that even the small things are important. Sparrows symbolize protection, community, joy, friendliness, and productivity. Magpie. Just a few of the many symbolic meanings of magpies include opportunistic, willful, expressive, communicative, flashy, and refined. Magpies are a symbol of illusion and teach that judgments should never be set in stone. Vulture. Even vultures are steeped in symbolism! And they are actually a symbol of motherhood! This is because they are caretakers. Ancient Egyptians used vultures to symbolize the mother. This bird is also associated with intelligence, navigation, patience, and resourcefulness. 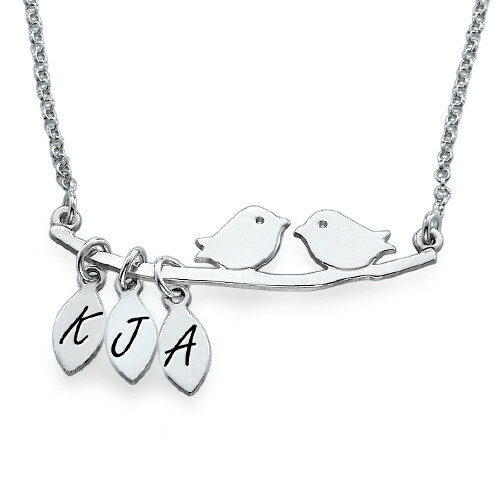 At MyNameNecklace, we not only offer all sorts of bird jewelry, but we provide the opportunity to personalize the items! 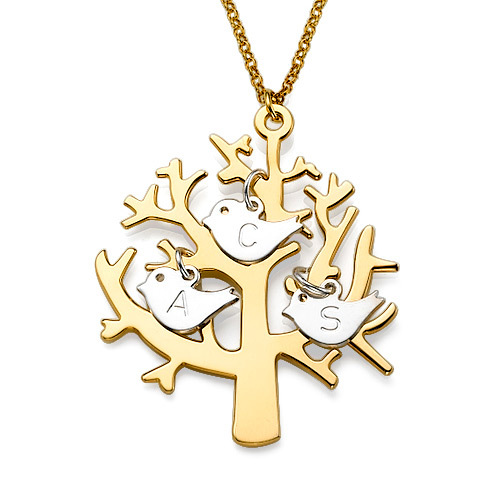 Get yourself a beautiful bird necklace today for yourself or someone you know as a great gift!